Bitdefender 2018 available for Download. 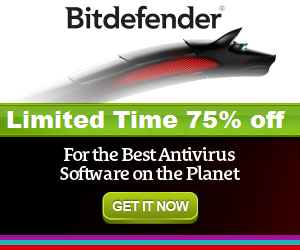 The New Bitdefender 2018 available for Download. Bitdefender, the innovative security solution provider has released its new version of Bitdefender Security 2018 line (Bitdefender Antivirus Plus 2018, Bitdefender Internet Security 2018, Bitdefender Total Security 2018, Bitdefender Family Pack 2018, Bitdefender Antivirus for MAC 2018, and Bitdefender Mobile Security 2018) with multi-layer ransomware defense, privacy protection, advanced threat protection for consumer line. Bitdefender has been known for providing excellent consumer solutions that help to identify the harmful Wannacry and Petya ransomware from the start and thus provide great protection to users. Its new version now makes it tougher for cyber criminals to leak the personal information or data. It comes with the 9th generation of machine learning and artificial intelligence-based technologies that have been premiered and developed since 2008 that will also benefit customers. Bitdefender 2018 empowers home users with the best security solution and make sure that their personal privacy remains unaffected from the world of hacking attacks. It helps them to keep the reputation of their company always secure. Bitdefender introduces multi-layer defense system that provides protection against ransomware, malware and eradicates other harmful threats. Its advanced threat defense identifies the patterns of behavior that will detect and block all the threats even the new ones with real time protection. It also provides additional protection with its new safe file feature that averts unauthorized alterations to sensitive files. As there is a growing concern over mass data theft and a large number of hackers, the latest version of Bitdefender has webcam protection that prevents webcam spying, fending off snoops, blackmailers, and others. Its new Firewall makes it easy for new Non-technical users will take the full advantage of its safety feature. There is account privacy for email checks on both iOS and Android platforms. The risk of data theft is more seriously taken by people and Bitdefender is the solution to deal with such issues.